"Good looking and easy to use"
All courses are displayed in one place and it's easy to see assignments, grades and attendance. Some completed courses remain which are no longer needed. Some completed courses disappear and you can no longer view the grades - perhaps final grades could be posted in a separate section. It would also be good to view course credits - how many we've completed and how many we need to graduate etc. I dislike that attendance is graded as an assignment - perhaps attendance could be a separate marking system within canvas as well. Make sure all professors use this system if it's part of the institution's online system. If a few opt not to use canvas it becomes very frustrating for students trying to locate learning materials. Communication about tasks and assignments is very clear and easy. Viewing course materials is easy and also great for reading uploaded music from an iPad in practical classes. "Canvas a new approach to Teaching"
Canvas is great way to manage your students' learning.It is the one shed for all the lessons resources, submitting assignments online,grading and providing all feedback.It offered way we approach to our teaching styles to next superior level making an new experience for learning.It allows each teacher a great flexibility to design the online course material in the way that fits their need. Canvas is a great tool but takes some time to learn.Besides, it personal messaging section can be improved.Rest everything looks good and there is no such problem is being faced till now. As a teacher I absolutely recommend all to work on it at least for once Beside the fact that it is hard to adapt every teacher must try this tool.It comes with various of load reducing features which is very helpful in teaching and learning. As a teacher Canvas has been very useful in providing wonderful content and assessment instrument.Range of quiz option is vast with multiple choices.It has also mastered in managing all my assignments in order and organised students and instructor together. "An intuitive and reliable VLE"
Canvas is a really easy to use system, with tools and features all located where you'd expect to find them. Resulting in a very short learning curve to get used to the system. The reliability of the system is also a great positive to the system, I have experienced very little down time at all within our 18 months of having access to the system. 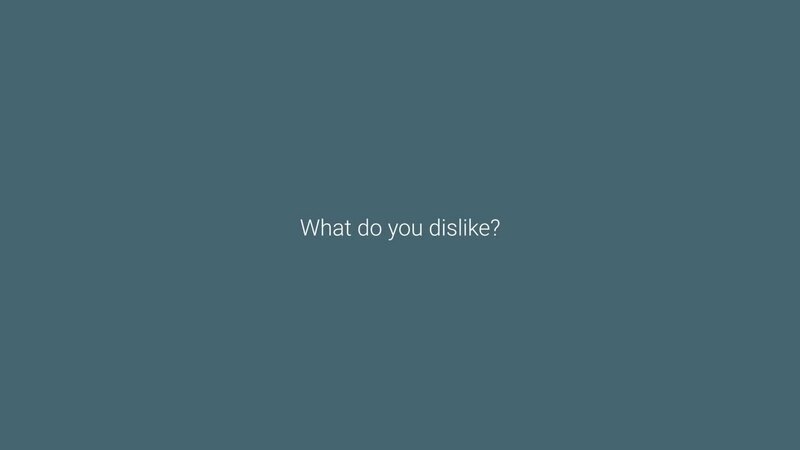 There is very little to dislike to be honest. My only real "gripe" is around grouping/sections. It is only possible to allocate assignments to certain groups within a space, there are many times that our academic community would like to assign certain teaching units/materials to certain groups and that so far has proved not to be possible. I'd highly recommend any educational institution to choose Canvas, it's reliable, intuitive and developing all the time! We have implemented Canvas as our VLE and use this to teach our students both on campus and distance learning. It allows us to give all our students the same level of teaching no matter where they are in the world. One of the biggest benefits we have seen with Canvas over our previous VLE is the ability to really automate things and reduce the number of support calls we (University Learning Technologists) have to deal with. It is possible to link in numerous external tools via API/LTI which allows the VLE to become the hub of all learning. "The Best Tool for Digital Education"
It is undoubtedly a tool that greatly facilitates the organization of didactic material. It is very easy to keep track of the subjects and the academic load in general. Likewise, it is useful as a tool for discussion of the topics seen in classes. As a student, I was really satisfied with the use of this platform as the professors were very organized and uploaded daily material that complemented what was said in class. It was very easy to use and keep track of personal progress in each class. Likewise, it is an ideal platform to clear up doubts with the teacher since they used to be attentive to any questions that the students asked. Mail notifications should be a little more explicit. In some occasions, the notifications received in the mail were not linked to the correct content or simply not all the notifications were received while other users received them. Also, I think the interface could be much more intuitive and direct. At times, the branches of the directories of the uploaded files are very confusing. Finally, I think that if an internal chat and a tool for group elaboration and collaboration of documents can be incorporated, it would be great. To be able to have all tasks sent in digital in an orderly manner is really useful for our purposes. All of this facilitates the process of evaluating and reviewing student progress. "Easy to use, lots of functionality and adaptability, challenging to govern"
Canvas is very easy to use as a teacher, student and administrator. It has lots of documentation to show you how things work and can be customised in many different ways. We like that we can provide Single Sign On using SAML. If there are functions that Canvas itself cannot provide, you can easily bolt an LTI tool into the system to provide the desired functionality. Canvas is constantly a work in progress. Instructure consider the requests of all their users and are always working to improve user experience. There is a 3 weekly development cycle in which new features are incrementally released in an Agile development cycle so the next new change can be less than 3 weeks away. There are some undocumented features which are not clear. The permissions are very difficult to manage and maintain as many of them are bundled together as "create, edit and delete" permissions so you cannot give someone permission to create records (courses, assignments, announcements, etc.) without also giving them permission to delete them. We don't like that the Blueprint functionality cannot be nested. We also would like our courses to be nested so we could nest modular courses into course structures. Consider who will need to manage and administer the product. Who decides how quickly your institution will adopt new features released by Canvas? We use Canvas for many different things, the primary one being to provide web-accessible content and resources to our students for their studies with us. We are also using Canvas courses to create community spaces for students and staff to share information and have discussions. The ease of use as an administrator. Being an admin using Canvas is far better and much more clear than ever! It's great to see the community feedback as well as the development team taking action regarding certain requests for improvements. I love the written / video guides too, they are a massive help for not just me as an admin, but for other members of staff too. There's nothing that I dislike! If I had to mention one thing, it would be better if assignments could be muted by default upon creation, a future update providing this would be brilliant! Perfect VLE for eLearning and offers an intuitive way of learning. Canvas has just about everything and it's easy to use whilst efficient! Assisting academics with their creation of modules and units, training members of staff so that they are confident in utilising all of the features in Canvas so that their students can have the best learning experience there is. "The Future of Digital Education"
Canvas is really flexible. This is the one characteristic that stands out for me and I feel that the name of the product is apropos. You can tailor make the content to suit the needs of individuals. We have managed with the product to create content that is suited to individuals, groups and which is adaptable so that it enables continuous content development and improvement. I have just tried getting to grips with Canvas data. I accept that this is a complicated process; however, I felt that the user experience could be better. The issue is that after spending 10-15 hours learning how to use Canvas data I still could not get what I wanted and the exports seemed to be missing large chunks of vital data. If the portal and process cannot be simplified, is there any training support that can be accessed other than guides written with a great deal of assumed knowledge implied? Engage fully with the training and allow time for colleagues to experiment and play with the tool, trying all kinds of possibilities before committing to an implementation plan. Throughout this period nurture a creative culture and celebrate those who integrate no matter how little they manage. Have a change management strategy in place with buy in from the highest levels in your organisation. We are evolving educational practices in a key area of restorative justice, prison education. This service provision is extremely behind technologically and Canvas will be the missing link that allows us to move forward into modern digital practice. Canvas will help us to embed digital literacy, save time, save money, improve engagement and the learner experience. It enables us to apply blended learning models so that success and differentiation is improved with individually focused playlists for learning and subsequent data and analytics which can be used to inform practice. "Transforming our approach to Learning and Teaching"
Our institutional move to Canvas has supported a real shift in the manner in which we facilitate learning, design our assessments and moderate student group working. Not only did Canvas enable us to realise our curriculum design plans, it also offered us opportunities to rethink the way we approached our teaching; offering students enhanced and enriched learning experiences. I think I'm only now just pushing at the boundaries of Canvas functionality, as it has met all of our learning and teaching needs, over the last 18 months. Perhaps, when marking and feeding-back to students a larger pop up 'comments' section with better formatting options would be really useful. If you'd like to be part of a community pf practitioners, using a VLE that will likely meet all of your learning and teaching needs and have excellent support on hand - then move to Canvas, I can highly recommend! The moderation of student group working was a priority for us (on our online course), so the 'Canvas Groups' functionality has met all of our needs. We can check student engagement, see evidence of their group working skills and facilitate iteration, dialogical feedback specific to each group... amazing! "Use it every day for my classroom"
I use Canvas every day to organize my classes. I put all my lesson plans and materials on it, and students upload their work directly into Canvas. We all use the calendar function to keep track of due dates and assignments, and I can send announcements that go to their school email. There aren't many things I dislike, but it could be more intuitive in design. We had some training on how to use it; otherwise, I would not have found all the features. I don't know what Canvas costs, as I was not the purchaser, but everyone (students, staff, faculty) uses it so constantly that I think it's a good investment. It's allowed me to go entirely paperless as a teacher! Instead of wasting tons of paper making copies of materials, I upload all of it to Canvas so students can view on their school laptops. "Easy to work with LMS"
We love the ease of use for our staff and students, the 99% uptime, the responsiveness of their support team and our account manager, and Instructure's commitment to improvement. We also use Canvas in an unusual way, as far as roles, sections, and permissions go, due to having staff in pastoral roles, that many schools do not. Canvas worked with us to find a way to set up our staff that gave them access to what they needed in an unconventional way. As a fully online school, Canvas is essential to us! It's how we provide students their coursework, receive and mark their assignments, and communicate with them. The range of tools and also LTIs available allow to create interesting, interactive and fun courses for students. We've grown by more than 100% in 3 years, and tools such as Blueprint help us to maintain consistency. "Canvas user of the early hour in Europe." Canvas provides with a very flexible and modulair Learning Management System. Not only for the day-to-day basic stuff but also for empowering our (extremer) open didactical vision. It's not locked to vendor specific features, but it embraces open-source thinking and facilitating open standards like LTI, IMS, REST API, xAPI, open source code, etc. Canvas had some issues adopting the more European way of operating, but they are progressively are changing their business to suit a more global approach for the product and their services. This takes ofcourse time in a growing market. Great LMS, with the occasional quirks (which other vendors also have), but high level of customisation, open interoperability with other software platforms. Easy to manage and a lot of insight for administrators, teachers AND students. Canvas streamlines our educational processes with a all-in-one solution of publishing educational material but also receiving assignment work. It speeds up the proces of grading and keeping the overview of the learning progression of learners. I think that canvas is a very reliable learning management system (LMS) when compared to others such as Blackboard, it is more cost effective . I like the ability of creating videos from within the system . Sharing videos in Canvas works flawlessly and encourage collaborative sharing with students . I think that this kind of LMS helps student and instructors have a great learning experience. As any other technology some technical difficulties may come up, institutions may need to have a staff ready to solve these problem . Also note that institutions running Canvas may need to install third party tools to enable some features such as gamification. I recommend that institutions do a comparison between several systems in order to choose the right product. For education the process may include a trail setup and then surveying students and faculty for their likes and dislikes. Canvas is a good solution for online learning engaging large number of students. 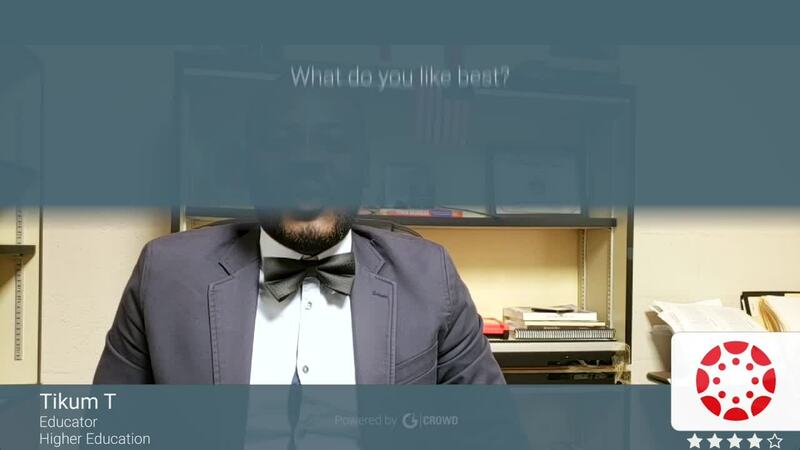 "Good platform for academic course management"
Its a simple and intuitive platform where you can submit assignments, take polls, display grades, make announcements and have discussion. Its a complete solution for managing an academic course in a big university with a large number of students. The discussion section and personal messaging can be improved upon. Rest, everything looks quite good. There seems to be a bug related to unread announcements/discussion thread. Even if you read it, it still shows that its unread. That is frustrating sometimes as an user of platform. Its a very good platform for managing your academic coursework and classes. I highly recommend it for usage in your university/course. I use Canvas as a student and an Graduate Teaching assistant in my university. As I said, its very simple and intuitive. Its a complete package providing all thing necessary for managing a big class. Its proved to be a very good platform so far and I am happy with using it for my courses. The provision for statistics of grades is quite useful. Also the feature of accepting multiple submissions and maintaining the activity history is useful for students. "Grade settings are funky, but overall clean UI"
My favorite aspect of it is the calendar. It organizes all my assignments very easily, and displays everything in a linear fashion. This prevents me from forgetting anything, and it easy to import into google calendar as well. The grading system can be a little weird at times, especially when there are many instructors within the same class. However, I feel this may be more of a user error (a fault with the professor), as opposed to the software. It organizes all the students and instructors together very well. It organizes all my assignments very easily, and displays everything in a linear fashion. This prevents me from forgetting anything, and it easy to import into google calendar as well. "One of the most versatile and helpful sites for teachers and students of all ages." I like that it provides a straightforward organization among the different tabs, classes, and modules of each class. There is an email tab that connects with that of the organization of the school and it just makes everyone's tasks easier and faster throughout a smooth platform. It provides a smooth experience while making it fun for children and adults who use this software. Getting used to using the tabs and panels is confusing at the first time, but it is about dedicating some time to become comfortable with them. It is also complicated when having too many classes and understanding the preview of an assignment on the calendar. As a creator of your own teaching style, there is plenty of options to customize and make use of every tab that Canvas has to offer. It can facilitate your work in many ways, only if you dive into it and make the most out of an amazing site. I use Canvas as an online learning platform through which I submit assignments, respond to quizzes, stay updated with announcements from professors and emails from both professors and students. "Very useful and easy to use learning management system." I like the ability to easily create quizzes and customize those exams. It's easy to add a password or IP restriction for exam security. You can also easily add time to exams for accommodations. It's very easy to set up assignments as well. The speed grader works well and the grade book is very handy. When designing the course the controls are not very intuitive. It's hard to figure out how to set everything up without assistance from someone like an instructional designer. When switching from Blackboard to Canvas, may faculty members complained about the change. Some still complain more than 6 years later. Overall though, Canvas has greatly improved the quality of our instruction. Our university uses Canvas for every course both online and face to face. It is used for instruction, grading, and communication. "Canvas - reliable, agile and very well supported." Canvas is a highly intuitive platform. Teachers rapidly assimilate the necessary skills to deliver effective learning. Equally our students report high levels of satisfaction and find Canvas works for them. The company deliver a standardised tool for online learning that does not constrain teachers or seek to steer them toward a single pedagogy/ style of teaching. I have no strong dislike. It is important to recognise that Canvas is pedagogy neutral. It is for your team to decide how you will use the platform. The great thing is that once the vision is established then you will have a tool for delivery. Canvas is highly scaleable and supports an agile solution to online schooling. Audit tools and integrations promote synergy and the presentation of learning to our students is outstanding. Canva is very user friendly for all ages. The left panel provides easy access to all pages and options in the class in Canva. Discerning where specific items are located can be difficult if one does not interpret the options correctly. The options use jargon that is not frequently used in brick and mortar classrooms (like "modules"), so this can be confusing for new users. Canvas is a great way to assign Professional development to adults in the workforce. They provide an asynchronous way to learn content. As a creator, you can manage assignments, grading, and projects in a class section. My business uses Canvas as a platform for online learning. It is a way to create assignments, quizzes, modules, and more to assign individually or to a class. Canvas is easily used by all students of all ages- children and adults! It is great to use for professional development as well. Of all the programs available as support tools for teachers, this one is by far my favorite. For each class I teach, I can create modules for each unit of curriculum. Within each module, I can upload documents, notes, web links, and even create assignments. In addition to creating modules, I can create tests and quizzes. All assignments and tests can be graded through Canvas' "SpeedGrader", and grades can be saved in the "Grades" section for immediate student viewing. There is also a special feature for Turnitin.com, which checks all work turned in for plagiarism. The interface is extremely easy to use. Although the interface is easy to use, it looks a little boring and basic. One problem I was able to solve was getting work to students that were absent in class. By me loading notes and materials into Canvas, students can access what they need from home. I have been able to go virtually paperless in the classroom. I think it's a very organized platform, with a clean layout that allows for functionality and easy access. I like grading papers directly on the Speed Grading tool, which makes it easy to point out or highlight details, leave annotated comments, and even search Google for plagiarism. I also like how we can create/add our own rubrics for easy grading as well. The only thing I don't like about the platform is the inability to completely connect to certain tools, such as the VoiceThreads Assignments, that aren't possible to create reminders for the student's calendar. I would totally give Canvas a try. As any new tool, it takes time to adapt and learn the tricks. However, if given the right consideration and constant use, I definitely think it makes an effective difference on a daily basis, saving time and stress with unresponsive software. I have never had a big issue with the platform and it has never made me angry os stress. It does just what I need in the easiest way possible for my needs. I use it as a student and as an instructor. From a student perspective, I find it easy to submit assignments and get full feedback from my instructors, as well as to follow the TO DO LIST and calendar reminders for what it's due. From an instructor perceptive, I also find it easy to keep track of my students' submissions, my previous comments left and schedule announcements. I also find benefit on being able to visualize how much students are using the platform and if they are opening the documents and viewing all the feedback available. "Big LMS with lots of capabilities but limited funcionality "
Canvas is so enormous that the functionality of many of it's capabilities is relatively limited. In a 1:1 iPad school, the many problems with the App and very limited capabilities of the app are causing our school to look elsewhere for another LMS. Canvas has not been able to keep up with updates of other services (ie gradebooks) and loses functionality each time another service has a big update. Their service team has not provided us with solutions to many of our issues and is relatively non-responsive. All teachers use the same LMS to provide resources to students. Our students know how to use Canvas since all teachers use it. It's easy to set up modules with assignments, announcements, syllabus, etc. I especially like that you can easily duplicate the classes since my work makes it necessary to have the same assignments and modules duplicated every few months for new class groups. It's also easy to contact students via the Canvas network. The speed grader is the BEST! It makes it really quick to go through assignments and quizzes and grade them. I have really liked using this program. It has made my job a lot easier and is very user-friendly for both admins and students! We run classes every month for international students that involve pre- and post- assignments and in the past it was very difficult to keep track of all of their assignments. We have 9 different class locations all over the country and each class generally has 100+ students. You can imagine how many emails that is to keep track of when they're just sending in assignments via email! Canvas has cut down on a lot of hassle and made it easy to keep track of students' assignments. "Instructure's Canvas removes the barrier between students and professors." The best aspect of Canvas is the amount of customization available. I have taken many different quizzes, submitted various assignments, and graded homework using this tool. Every feature available works smoothly, and the mobile app is immensely helpful. I would appreciate more support for math quizzes and tests, such as WebAssign has. Additionally, the ability to upload images into the rich text editor would be excellent. Currently, if I want to upload a file into a discussion post I have to upload it, then edit my post and insert the photo. This slows things down and severely limits the number of photos I can upload to a post. The ability to attach other files other than pictures easily would be very helpful as well. Take advantage of the ability to leave and read instructor comments! This is one of the most often neglected features of Canvas, and one of the most helpful. You don't have to be in the dark about what your classmates and professors are saying, you can ask and communicate through this channel. I work as a Teacher's Aide, and I use canvas to grade students' homework. I like the SpeedGrader system, it makes things go quickly and smoothly, helping me and the students. I like the centralized access to everything related to the course. There is no need for additional software packages, this does it all from syllabus to cloud storage, assignment management and discussion forums and grading. For online and distant learning it really helps bring the class together in a virtual environment. I also like the multi device and operating system support. On a daily basis I login from my phone, tablet and PC with no issues. This is a very powerful capability since we are all on the go on a daily basis and the ability to seamlessly move from one device to another is a key feature that should not be overlooked. I also like the integration with numerous cloud based systems which provides a high level of interoperability. The only dislike can be lag time but it is difficult to determine if that is from the software or ISP. Overall this has not diminished my user experience and it continues to get better with subsequent releases of the software. Great application with wide compatibility options. It consolidates education and classroom management allowing me to spend more focusing on course management. It also solves the issue of managing information from the classroom to home. The ability to have access on a phone also solves productivity losses by allowing better use of time throughout the day. I like how Canvas organizes my classes and my assignments. The to do list on the right corner has saved me from forgetting assignments and it keeps me on track to expect upcoming assignments. I also like how there's multiple tabs for my professors to organize the class content and other files. I also like how I can see a thorough evaluation of my class grade. Being able to manipulate my future grades on certain assignments is extremely helpful for finals week when I need a approximation of my final grade. I don't really like how the inbox and message center is set up. I don't use it often and neither do my classmates. Sometimes I get confused if a professor sends out an announcement or if they sent a message to my Canvas inbox. The format could be more improved to a sleeker more modern look with a different color scheme. Take the time to explore Canvas. It's important to get familiar with where to find links and how classes are organized. I am full time student using Canvas to organize my classes. I do not solve business problems on it. Canvas has a trial account, and in two weeks you can understand that the program suits you or not. During the trial period, I realized that Canvas was created just for my needs and helps me to simplify the training and education of my students. I and my colleagues don't have much time to inform all the students about upcoming tests, polls or changes in the schedule. In the first use of this program there were some difficulties, but then, when I figured out it was easy to organize the students on a joint work (this minus concerns any new program to which one must first get used). There are some difficulties for my students in getting access to the files. All the students were happy when Canvas appeared because the study became more interesting and responsible. It is easy to follow your progress. I can recommend Canvas without any doubts. In my work, it's important to maintain communication with the trainees, to help them find the necessary materials. I communicate with other trainees without any efforts and be aware of everything that happens in an educational process. With Canvas it becomes possible. "Great product, small tweaks for the main site to adapt to laptops are needed"
Everything for the class takes place in one place! Communication (email and announcements), grading, assignment creation, loading files etc. Great app for phone and tablets. There is a lot of versatility in terms of keeping track of individual students and the whole class simultaneously. The ability to preserve a course online and easily transfer material from one semester to the next is a huge boon! The grading feature is a bit cumbersome, particularly on a laptop. The windows are not always fully visible and when not working in google chrome there are links that sometimes don't appear. This can create extra work since students don't see their feedback generating further need for communication etc. This is the the most important feature of the product as far as I'm concerned and it would be incredibly helpful if the platform included a less cumbersome way of grading! While the communications feature's ability to be switched off is nice in the sense of users not being bombarded with emails, this means that sometimes students are not actually getting your messages. Instructors should be able to override this function as needed. Everyone at the last few universities I have worked at seems to agree that Canvas is a step ahead of Blackboard. All of the needs in terms of communicating with students, creating modules, inputing grades, sharing files and so forth are done through this program. The biggest problem being solved is that of paper grading which I am able to do through the speedgrader function that it built in. "System to teach online, great tool for teachers." Canvas is a tool that I personally love to use, in my institution, it was a bit difficult to implement this service, since it was not a well-known application, one or two years ago I took the task of performing a test with Canvas and I was fascinated, I talked to my colleagues about the operation of Canvas, and I invited them to try them, they were fascinated with the features of this application, and after a couple of meetings with the board of our school, we decided to adopt this spectacular tool, to give a different touch to our teaching media, after this application was adapted to our The working environment of our institution, it would be very different to teach without it, it is a tool where you can create all kinds of tasks for online students, give notice of their tasks, create study calendars, manage all kinds of classes, a tool that provides all the necessary qualities, to bring virtual education a pas or later, the advantage of this application, which I think is what most attracts me, is that I can have a closer relationship with my students, and give them that help they always need to improve. The whole process of adopting canvas has not been as easy as we expected at the beginning, it's a bit difficult and it takes some time, going from conventional learning platforms, to a somewhat advanced system like this, something that has been a little difficult is to move the entire system of notes, which we still managed on paper, to this virtual platform, it is somewhat complex, you must have some available time, outside working hours, to be able to learn to use the tool correctly, since it takes a few days to adapt completely to it. This system can be a bit complex to adopt in its entirety within an institution a previous study should be done, to determine what are the steps to follow after acquiring this system, if you have not worked with virtual platforms, and your institution still works on paper, it is a process that takes a little time, but it is worth taking all that time, since having this system in operation is a total change, which helps advance in many fields of teaching within an institution. With this system we can take a step forward in technology within our institution, take years of work on paper, to a virtual classroom has been fantastic, our students and teachers, can always be in contact, when each of them wishes, review and grade notes online, create projects and tasks on the web, all this helps both students and teachers, develop their daily tasks in a better way., We no longer have problems with lost notes on paper, a high percentage of activities is done through this platform, which allows us to follow more closely each of our students, we can see how each one advances, and how we can help them improve. Canvas is a really cool application for classroom management. It delivers safe performance and makes all of my content very organized. I used Moodle and BrainHoney prior to this and Canvas trumps them all. It works well on various operating systems and gives the administrator so much power to deliver the content (in my case, biology notes for my students that I tutor) in so many different ways. It pretty much contains all the features a teacher or tutor can ever need! Canvas is VERY difficult to understand/use. It would take you a lot of time just to understand all the features to be able to access them. Considering that this is a service to be able to share content easily with other users, I believe that they should make the accessibility features easier for others to understand. I use it to share biology notes with my tutees online. This comes in handy for me to fulfill my role as a peer tutor. "Very helpful - better than blackboard!" The first thing I noticed with this product was the the interface was very user friendly! I liked that I was able to create a full profile with a photo that other users could see and get information from. The grade feature was also very helpful in calculating current grade points. I also liked the fact that you could "predict" your current grade by inputting any amount of potential grades for individual assignments. There isn't much that I dislike about this product. One thing that needs improvement is the time between when things occur on the site, and when notifications are sent out. There seems to be a lapse in time for about a day or two where I have not received a notification There have been a few glitches related to assignments not showing up with they are posted, but these have seemed to be resolved. I have yet to use customer support, so I cannot make many comments related to that aspect. Canvas is a great tool for online classes! My company upgraded to canvas after using Blackboard for several years. We use this product in order to develop assignments, modules, discussions, and grades via an online portal. This is extremely beneficial for online classes to make sure that everybody is getting the same assignment at the same time.
" Canvas makes classes easier!" The time stamp feature for submitted documents is especially helpful! It holds accountability for students, and makes files available to students readily easily. It is sometimes hard to view certain documents through the application on a cellular device. I don’t have any issues with canvas on a computer! I highly recommend anyone teaching a course to use canvas. It takes the guess work out of electronic documents and turning assignments on time. I love the opportunity it creates for student discussion, for deadlines, and for providing students class resources (lectures etc). It is much easier to use than blackboard, Dropbox, and is accessible to everyone. Ensuring all students receive communication about notifications through canvas at the beginning of each semester can be challenging. It is wonderful though to realize all documents can be electronically stored for easy access for grading. It takes all of the hassle out of the class.
" A Powerful house for those who know how to explore it"
What I like the best is the flexibility of the system and how faculty centric it is. The robust APIs that allow you to incorporate your "personal touch" in a LMS system. Nothing personally but I do know there are some who do not like all the "bells and whistles". It could be considered overwhelming due to all the type of features available. If you want simplicity, this may not be the right tool. There are others that are simple. You can make it work but this is a tool for someone who is looking for a powerful and feature rich tool. We resolved many problems. First, the LMS system is a more up to date system with updates practically every month. It is very "forward thinking" and it is constantly being improved. Additionally, being faculty centric, allows faculty to truly engage students in a more "natural" way by easily embedding tools and applications within the LMS. "Very good solution to go with education skills." The platform gives a chance to use and to work with important information to me. All works are very productive. I like the fast way to submit our assignments. Very powerful platform for students gives the ability to learn better and in more suitable time. If you would like to work with no issue that it is better to install that Software. Very good sharing program with all important information to my students. Also, I like that, I always can take a right an advice from support service if I need it. Very powerful education software. Simple to use and work with the wonderful interface. Strong path of knowledge brings a lot of power to increase education skills. This platform I'm not afraid to use. And I recommend it to you. Great opportunity for us. I mean it is a big helper to teachers and of course to students. To have education at online service is the big jump into knowledge. I can be sure that all presentation of the lecture will be very useful and understandable to the audience. "The perfect door to an effective way." Gives me better concentrate on using technology to make better classroom experience and learning processes for students and teachers. Make your study process much better for everyone. During the all working process I don't have any delay or disconnect in connection. Also, that platform has a lot of useful information. Wonderful learning software.Wil make your study much easy. With this platform, your education way will be much interesting and suitable for the most students. For sure online presentation of learning will make our student more active in the process and productive. Actually, we are saving our time. I'm glad that I can show the most comfortable process of study. I guess it is important to learn that it is an open and clear way. It'is wonderful that I can see an interest from students to study. Its mean that this software really doing the right job. "Flexible LMS with Responsive Customer Service"
Probably the best part of Canvas is that it can be customized to my courses. I have used it for managing both in-person and online courses, and it works well for both purposes. I also use different features for different classes depending on the needs of my students. I like that Canvas isn't one-size-fits-all and can be used by different professors in lots of different ways. Probably the main thing I think could be improved is making sure students receive and view feedback from SpeedGrader more easily. Right now it takes multiple clicks to view feedback given through features like the rubric, so some students get confused and others don't bother. I'd like a way to have Canvas automatically email instructor feedback to students. Communication with students, providing one centralized place for students to access course materials, messages, grades, feedback, etc. "Canvas as a Teaching Resource and Tool for Instructors"
Canvas is a great learning management system. Compared to BrightSpace and BeachBoard, it is easy to use by way of its navigation panels on the left. Viewing Modules, Quizzes, Grades, Syllabus, and attendance is quick and effortless for both instructor and student. The calendar and inbox features on the left panel are also very useful. The grades tab assumes points entered are out of 100 points, unless specified. However, when bulk grading, the instructor cannot enter numbers in hopes of reflecting percentages; the instructor must first calculate the percentage correct, then enter the percent into the grade tab. Changing this from percentage to points does not seem as intuitive as it should be. There is an app that students can download. The Canvas app also provides access to grades, homework, calendars, notifications and inbox. It is available for both Android and IOS so students can quickly access their file without going through a browser. As an instructor, business relies on student use, student access to quizzes and exams, and attendance. 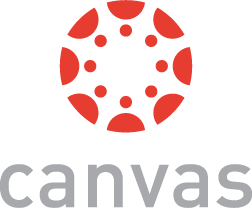 With students amounting to ~300 per semester and as one of 14 instructors who closely monitor student use, Canvas has been beneficial in providing data about student use for teaching and learning research purposes. More specifically, we are able to see what students click on and how long they remain logged in overseeing the data. We are further able to correlate their use on the site to their grade. "A Canvas for every teacher"
This a tool so used since several years at the University where I teach. It's so easy to work with, you can manage several courses using it, I've been doing it actually with almost all of my courses since I discovered it and we started to implement it at chemical engineering school, it's not only easy to work with for us as professors is also the same thing for students and they can have several courses linked to their accounts as well, managed by professors of course, this software makes really easy going to check in how a course is growing, to grade, to send assignments. It's the most common software at work and anyone has had till now any problem with it and either do I. It works great, maybe if I would like something to improve more it would be the interface, maybe make it more appealing to sight and interesting at first sight for students. Use it with all of your courses; be fully aware of all the features it has like forums and things like that to make easier the approach to your students. I've been listing my students, grading, and also sending some of the assignments to them through this way, like tests for example, you can select the date when you will want it to be active, for how long you want it to be this way, the amount of tries the students can have. It's a super useful tool really. "Canvas is good for colleges and improving for high schools"
Easy access both on laptop/desktop and through the phone app. Direct connection to PowerSchool in order to passback grades. Since it's in the cloud, I can access from any computer. Some ways of setting up the grading don't merge with traditional high school grading, such as quarters instead of broken down by semesters. There are some current issues with students submitting recordings for assessments. The quiz creation format still needs some work, although they have a beta out for a new quiz fomat; I'm not sure it solves all the issues just yet. The app needs to feature more teacher-based actions similar to the desktop. Use the online forums and ask for help when confused. There are a ton of lessons out in the "Commons," but they need to be searched pretty extensively. "Great, flexible learning management system"
I really like that Canvas gives me the flexibility to structure my class website in a variety of ways. I can make it content first and just give my students everything all at once or control the release of content by dates or by completion of earlier material. There's also a ton of flexibility in the way that I can provide assignments. Sometimes there are some hidden options that can make choices overly simplistic, but you can dig around and find ways around those. More visually appealing and provides better options than other LMS systems that I have used. I think UMD is providing really easy to use course work online through Canvas. "A Great Learning Management System for Higher Education"
The parts of Canvas I like best are the many features that can be used for a class. From quizzes to test and from assignments to recorded lectures, the platform gives each teacher the ability to teach their class with the resources that make the most sense for them. The biggest dislike I have for Canvas is the learning curve. Once you learn how to use some of the features, they are great. But some of them do take extra time to learn. The challenge is with teachers who don't know how to use the features, which in turn, makes it more challenging for the class. I do wish the platform was a little more user-friendly. If you are considering Canvas, I would highly recommend checking it out. It is a great product and can provide a lot of great benefits and value for your organization. Canvas is a great solution for higher education. I would look at the pros and cons for Canvas and any other options you are considering. I would compare them based on what you know about your user base and not just what sounds like great features. For example, Canvas is a great solution for user bases that have a little more tech knowledge. Just keep that in mind so you don't end up with frustrated users. Canvas is a great solution for online learning. There are so many tools that allow online learning to be much closer to classroom learning. While it isn't 100% the same, teachers can structure classes to have many of the same features to allows distance students the opportunity to have a great experience. "An intuitive, flexible system for creating learning experiences"
It is really intuitive to organize materials; hyperlinking is a breeze, which is so helpful for helping students navigate a lot of information that needs to be repeated in multiple places (without the messiness of duplicating that information). You don't need any technical know-how in order to format a really intuitive and interactive learning environment. It's really nice that you have fine control over when things are published (or not), so we use it as a collaboration tool before going live. Honestly, it's difficult to find drawbacks with Canvas. The usefulness of the site you make depends on how skilled the creator is at creating an information hierarchy; some coworkers have made beautiful, usable sites while others have not. It's a bit frustrating that multiple people cannot edit the same text live at the same time without overwriting each other's changes. Organizing massive amounts of information for MBA students in a course that has a bunch of different activities and different tracks of students. This has traditionally been a nightmare to organize in a way that is simple, approachable, and user-friendly; most students just gave up on trying to navigate the site in previous years. "A great online education platform that is very user friendly"
Everything is very eye-catching. Unlike other similar platforms, Canvas boasts an easy to read calendar that automatically checks off assignments once they're completed. This aspect helps students ensure they have completed the assignment to the extent in which the professor assigns it. The app is an added bonus that helps learning easy to manage on the go. The notification setting page is difficult to maneuver as a new user. It's sometimes hard to set notifications in the way that you want them, and either end up with too many notifications or not enough. Once a student gets acquainted with Canvas, it's much easier to understand. Definitely give it a try! We were skeptical when first implementing Canvas, but we're so glad we did! It has made assigning work and implementing online classes so much easier. It's a huge difference from other programs, but it's worth the small learning curve! Canvas allows you to organize your classes in a very student centered manner. It is very easy for students to find their assignments, progress through lessons, and get feedback from their instructors. It is much more visually pleasing than other platforms and boasts a great app feature, which some other programs lack. "Canvas for efficient education management"
Canvas has been an excellent tool for communicating and share file with people in the class. The faculty can upload and control the files and grades and TA and GA's can easily update grade and have a centralized dash board for students with which they can manage all class details , class time and their grade. canvas is perfect and good to use in classroom environment and for any organized course, there no dislike with canvas. using canvas for your education management purpose is highly recommended, once you use it you will understand the easy of classroom and file management, the centralized management of all subject will be an advantage for students. The file sharing is another problem that will be easily solved using canvas in the classroom. homework submission is also made easier using canvas. "Good for colleges for getting information to members in classes"
The system has gone down some which makes it difficult for students to gain access to important documents or slides they will be needing as well as for grading purposes so they are able to see how they did on exams and quizzes. Not necessarily business problems but it makes getting the information out to students much easier than other softwares. It's also something that is pretty user friendly so even if it is a person's first time on either side of it, you are able to figure out how to run it, upload files, put out announcements. "Innovate, organise and engage with Canvas"
Ease of use and layout are definitely my favourite features of Canvas. Canvas helps to improve student interaction with Academics and amongst students themselves. I believe the level and quality of communication between Academics and students has greatly increased and is definitely enhancing the learning experience. The variety of reports available is a huge plus which I really like. Canvas is an excellent LMS, very easy to use and interactive. It certainly improves engagement with students, encouraging new thinking and challenges Academics to think about how to deliver course work to their students. Canvas has allowed for better and more interactive engagement with students. Greater assignment choice and flexibility has been a real benefit. The layout and accessibility is a huge improvement. I find the look and feel of Canvas to be very up to date and engaging with today's students. Managing assignments is much easier and the choice available in terms of quizzes, discussions and traditional discussions makes Canvas a lot more interactive. As a developer I find the API has its limitations. This includes the documentation and methods, allowing integrations for both node.js and Python. This could allow for more novice developers to utilise the API. I also think more guidance should be provided in reference to the oAuth flow and the documentation. Make sure that it does everything that you wish it to do. This includes functionality from the quizzes, navigation and customization. If it meets most requirements then get ready to start writing a lot of code. On top of this, ensure that it meets the requirements of yourself and your team. If you are unhappy with the platform then its too late to go back so make sure that you can do everything, this includes meeting requirements for funding too. As a mainstream college we gave been trying to brance out to distance learning. Canvas has proven to be our solution to this. "Good system but it wont do it all for you"
Built-in communications between students and tutors. Natural flow to course design. Mobile friendly design included with an app for both tutors and students available in both IOS and android versions making it accessible to our students wherever they are. You need to have a decent understanding of HTML (and possibly css) to get the best out of Canvas. Yes, it has a built-in editor but this is basic to say the least! It does not "play nicely" with our CRM system and the development costs of this are prohibitive. Can feel like you are being dictated to by the software more than you are dictating to the saftware what you need it to do. Even with the support it needs a lot of resources to get the most out of it - it will definitely not do everything for you! Canvas enables us to offer our students 24/7/365 support - at least for the basic things and for any technical questions. This has freed up staff time and that awful Monday morning scenario of coming in to an in-box full of distressed emails. It also provides a single point of focus for both students and teachers for communication and allows us to better monitor and quality assess both student and tutor performance. "Swiss Army Knife of Learning Management Systems"
The flexibility of the system. It allows you to do a lot of things in different ways. This helps to keep it fresh and relevant. It is also very easy to use for all levels of digital fluency. Canvas really listens to feedback and keeps adding features on a regular basis. In the essence, it is truly a platform made by us (the customers) for us. Features that you are disliking usually end-up being changed for better, improved. The only thing I dislike at the moment is the limited capability of HTML part of the content editor. I would like to use HTML to customize my pages to more extent. Instead, I have to host pages inside the iFrame tag. If you are after an easy to use system to deliver learning with a massive growth potential - Canvas will be great for you and your faculty. We are solving a great number of business problems. Right off the bat, it helps us make sure learners get access and are engaged with the platform. manage & customise their learning. Not only it allows us to mainstream the learning journey by setting up courses, but it also allows further expansion tailored to the specific learner also called Stretch & Challenge. Canvas is truly a Swiss Army Knife of Learning Management Systems, the potential is limitless, never-ending updates & new features keep it fresh & relevant. Finally, we have a challenger to old-education, a classroom-based system that doesn't work. Learning has never before been so exciting and easy, not just for students but also for teachers. * We monitor all Canvas reviews to prevent fraudulent reviews and keep review quality high. We do not post reviews by company employees or direct competitors. Validated reviews require the user to submit a screenshot of the product containing their user ID, in order to verify a user is an actual user of the product. Hi there! Are you looking to implement a solution like Canvas?